I started racing at our local circuit in Queanbeyan, just outside of Canberra. It was a small facility managed by a committed team of volunteers that formed the Canberra Kart Racing Club. Back then, karting had just started to shake the pre-conceived idea that ‘go-carts’ were box steel frames with lawnmower motors. Plastic bodywork had been added for safety and aesthetics, and karts started to look really cool. There were a number of controlled classes, using varied 100cc Yamaha engines, but importantly this era lent itself to a group of premier classes that provided arguably the biggest spectacle the sport of karting has seen – The CIK series, comprised of Reed and Rotary valve engines, producing around 30 Horse Power. With a combined weight of 140kg (Kart and Driver) these machines were unbelievably fast. Mounted with super-sticky ‘open’ tyres, this made for what many believe to be the best era of karting ever. These classes were a massive drawcard for drivers and spectators alike across the world. 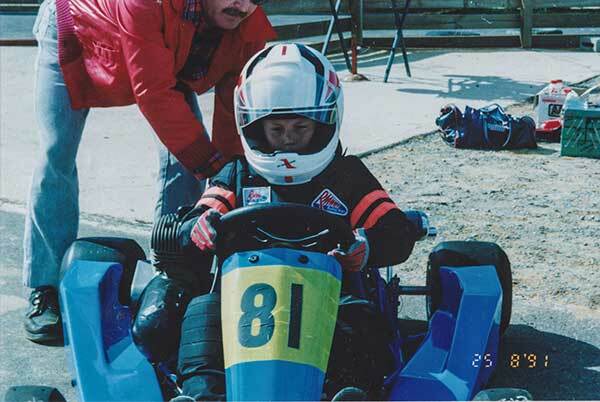 With race meetings typically boasting capacity fields of 40+ karts, it was a truly exciting time that many in the sport now look back fondly upon. It can be difficult to appreciate how great an era can be when you are actively a part of it. (I believe this is true for professional careers, relationships, friendships, hobbies, and interests) but fast-forward to 2018 and I look back fondly on a period that would see the world of karting nurture some of the world’s best drivers, even if they were only teenagers at the time. Formula One stars including Schumacher, Alonso, Hamilton, Raikkonen and Weber all honed their skills in karting during this golden era. Over time, karting has seen advances in the development of engines, chassis, and parts that have dramatically transformed the sport. Most classes now feature centrifugal clutches or gearboxes, water cooling and radiators, and bulky/unsightly fairings and aero kits. Many compete with data loggers and telemetry systems. These additions have also seen the cost of the sport skyrocket. 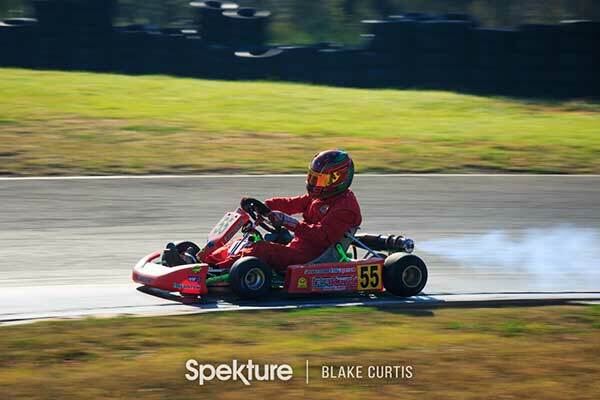 In the spirit of bringing karting back to its roots, a group of Australian karting enthusiasts have banded together to revive the karting scene of the 1990s. 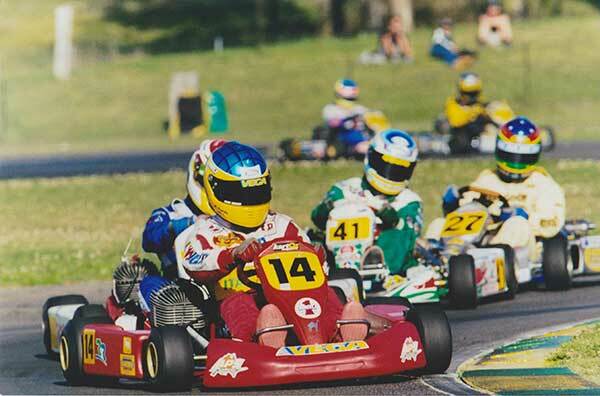 The Retro Karting Australia group (RKA) is a historic kart race series. Drivers can restore and enter only pre-2000 chassis and direct-drive 100cc 2-stroke motors (air cooled reed or rotary valve), setting the scene for competitive kart racing at phenomenal speeds of up to 110kph! The series is aimed at competitors who wish to race this era of karts, with an emphasis on competitive, fair, safe, enjoyable and affordable kart racing, and to relive this special period in kart racing history. Having spent many years racing myself as a kid, teenager, and young adult, I am fortunate to know a number of those involved in the current revival who invited me out to see the second round of their national championship, being held at Eastern Creek Kart Raceway, 40km west of Sydney. On my arrival, I was immediately reminded of my time in the sport, with the tangy smell of 2-stroke and the buzzing and ringing of the finned air-cooled power units. I couldn’t wait to see them race and to get on track to get some images of these machines at speed. The format for racing included qualifying sessions held on Saturday, and then two heats, a pre-final and the final held on Sunday. The entries were split across three classes, including the Historic class, F100 Light at 145kg, and F100 Heavy at 160kg (kart + driver) keeping the competition tight across both fields throughout the heats and pre-final. After hotly contested races, the eventual winners of the finals were Nick Agland in F100 Light (Tibikart/Italsistem), and Josh Pontello in F100 Heavy (Parolin/Vortex). After the weekend’s racing, the group enjoyed a low-key presentation over drinks where sponsored goods and trophies were passed on to the winners, as well as a number of awards for best-presented kart, spirit of RKA100 and the revered hard-luck story. Without a doubt, the RKA can be proud of achieving their goal of bringing the karts, engines (and drivers) back from a bygone era, and reinstating the spirit and sportsmanship that so many miss.